We’d love your help. Let us know what’s wrong with this preview of Ignorance by Milan Kundera. Author Biography: The Franco-Czech novelist Milan Kundera was born in Brno and has lived in France, his second homeland, for more than twenty years. To ask other readers questions about Ignorance, please sign up. I have not yet read L'ignorance, .What is it about? Is it a novel? Or a critical review about the life? Kianoush A Novel. But while telling the story, Kundera gives his own analysis of people and events, too. So, maybe it's both a novel and a critical review. As with other Kundera's books that I've read, the background is, of course, Czech Republic, the Prague Spring of 1968 and the events it sprang in motion. The surface of the plot in Ignorance is a story of two émigrés, Irena and Josef, who have chosen to leave Czechoslovakia after the infamous end of the Prague Spring, and who have returned to visit their motherland 20 years later, after the regime that had driven them out collapsed. "They had really done a lot for me. They saw me as the embodiment of an émigré's suffering. Then the time came for me to confirm that suffering by my joyous return to the homeland. And that confirmation didn't happen. They felt duped. And so did 'i, because up till then I'd thought they loved me not for my suffering but for my self." And it does not come as a surprise to either one of them that they do not fit the mold of an émigré as the world labels such as them; that the land they left behind has irrevocably ceased being their home; that new lives have been started elsewhere and there is no easy way of shrugging those new memories in order to fit back into the mold from which they have sprang decades ago. "She had always taken it as a given that emigrating was a misfortune. But, now she wonders, wasn't it instead an illusion of misfortune, an illusion suggested by the way people perceive an émigré?" The motif Kundera relies on is the story of Odysseus, of his single-minded journey back to where he was from, to Ithaca, to his old life, where he - supposedly - belonged, where he was one of them, where his life outside of the boundaries of the island was little but an interruption in the regular chain of events. But what about the two decades of his life he spent elsewhere? Do they matter? And how is he supposed to reconcile them with the life to which he made his "great return"? "For twenty years he [Odysseus] had thought about nothing but his return. But once he was back, he was amazed to realize that his life, the very essence of his life, its center, its treasure, lay outside Ithaca, in the twenty years of his wanderings. And this treasure he had lost, and could retrieve only by talking about it. [...] But in Ithaca he was not a stranger, he was one of their own, so it never occurred to anyone to say, "Tell us!" To both Irena and Josef it seems that their lives outside of their - now former - home do not really matter to those whom they once left behind. And they cannot reconcile the memories of the old and the memories of the new; they cannot reconcile who they have become and who people think they should be; the past and the present. And, an émigré myself - by choice and happily, unlike Irena and Josef - I can feel their unease and uncertainties resonating within me; having visited the place I'm from after living abroad for many years and realizing that past has moved on and that new home has been made, in another country, with me changed by the new place that I have adopted as much as it has adopted me, with me never again able to return to being who I was before leaving the homeland - because new memories have been made and internalized, and home has moved with me. Why does this happen? Tricks of memory, perhaps? The fickleness and selectiveness and shortsightedness of it; an ally on which we cannot truly rely. Memory is what we are so tempted to think we share with the others - but maybe it's just the illusion, like most other things in our lives. Because memory is what we make it, infusing it with meanings and significances that reflect more on ourselves than what actually happened. "I imagine the feelings of two people meeting again after many years. In the past they spent some time together, and therefore they think they are linked by the same experience, the same recollections. The same recollections? That's where the misunderstanding starts: they don't have the same recollections; each of them retains two or three small scenes from the past, but each has his own; their recollections are not similar; they don't intersect' and even in terms of quantity they are not comparable: one person remembers the other more than he is remembered; first because memory capacity varies among individuals (an explanation that each of them would at least find acceptable), but also (and this is more painful to admit) because they don't hold the same importance for each other." - في تتابع واضح لخط فلسفة "ميلان كونديرا" تأتي هذه الرواية، كمعظم رواياته، لتنقل لنا افكاره الفلسفية عن طريق قصص غالباً ما تكون بسيطة وحتى تافهة في بعض الأحيان، لكنه يجعلها اساساً لإستطرادات شتّى ومادة يبني عليها افكاره ورسائله. - القصة بسيطة جداً وشخصياتها كلاسيكية، "جوزيف" الذي طلب الحرية فهاجر، و"إرنا" التي اجبرت على الهجرة مع زوجها مارتن (صديق لأمها) الذي توفي لاحقاً فتعلقت إرنا ب "غوستافو" رجل الأعمال السويدي الذي افتتح مكتب في براغ وعجّل من عودة إرنا اليها. إرنا كانت معجبة بجوزيف وهي مراهقة - في تتابع واضح لخط فلسفة "ميلان كونديرا" تأتي هذه الرواية، كمعظم رواياته، لتنقل لنا افكاره الفلسفية عن طريق قصص غالباً ما تكون بسيطة وحتى تافهة في بعض الأحيان، لكنه يجعلها اساساً لإستطرادات شتّى ومادة يبني عليها افكاره ورسائله. - القصة بسيطة جداً وشخصياتها كلاسيكية، "جوزيف" الذي طلب الحرية فهاجر، و"إرنا" التي اجبرت على الهجرة مع زوجها مارتن (صديق لأمها) الذي توفي لاحقاً فتعلقت إرنا ب "غوستافو" رجل الأعمال السويدي الذي افتتح مكتب في براغ وعجّل من عودة إرنا اليها. إرنا كانت معجبة بجوزيف وهي مراهقة، التقيا بعد عشرين عاماً في المطار صدفةً (وهذا نسج ميلان الكلاسيكي للصدف)، تواعدا ثم تضاجعا ثم تفارقا. القصة ليست بطولية ولا خارقة للعادة بل تافهة حتماً لكن قدرة ميلان في النسج الفلسفي وربط مفهوم الحنين بالجهل بالزمن والذاكرة، جعل من هذه القطعة الأدبية درساً في الفلسفة الوجودية. - يتعمّق ميلان في نفسية المغترب، تشتته بين وطن ولد فيه يحن اليه، وبين وطن عاش حياته وحريته فيه واصبح منتمياً له بدرجة كبيرة، بين وطن احنفظت ذاكرتنا به وبين وطن كان هو الذاكرة بعينها، مما يقودنا لفكرة "العودة" وهنا يجسّد ميلان الصراعات الخارجية والداخلية للمغترب: هل اهله يريدون عودته؟ هل يهمهم عودته؟ هل هو بمنأى عنهم؟ ماذا سيحل بذاكرته المكتسبة في المنفى؟ هل هو لا يزال ينتمي لهذه البيئة؟ لهذه العقلية؟ أسئلة كثيرة يصفعنا ميلان بها صفعاً. - الثقل والخفة حاضران ايضاً في هذه الرواية (بنى رواية "كائن لا تحتمل خفته" على هذا التضاد)، وزّع الخفة والثقل على الذاكرة والحب والعلاقات الجنسية والحرية: فالذاكرة تنسى الاحداث الخفيفة التي قد تكون ثقيلة عند الآخر ولا ينساها (جوزيف ضاجع إرنا دونما ان يعرف اسمها حتى، بينما هي كانت لا تزال تذكره وتحتفظ بتذكار منه)، الحب: ثقل الحب على إرنا من مارتن وغوستاف وشعورها بالخفة مع جوزيف والحرية في هذه العلاقة، وتخطاها "ميلان" للعلاقات الجنسية من دون اي التزام (ما يعرف بالصداقات الجنسية حينها واليوم) (غوستاف وام إرنا). - ترك كونديرا لنا الكثير من الأسئلة والفراغات لنملأها بأنفسنا، وهذا ايضاً مقصود لأنه غالباً ما يشرك القارئ في رواياته. - ص24" الذاكرة تحتاج، كي تعمل جيداً، لتمرين لا ينقطع"
- ص35" من يقرر ان يهجر بلده عليه ان يستسلم الى انه لن يرى اسرته من جديد"
- ص44" ان الذين يعتبرون حياتهم كحالة غريق يخرجون لإصطياد المذنبين"
- ص48" الجنس دون مشاعر يمتّد مثل صحراء يموت فيها المرء اكتئاباً"
- ص83" الماضي الذي يتذكره المرء ليس له زمن"
- ص87" من يخسر وداعه (اي وداعه لنفسه) لا يمكن ان ينتظر من اللقائات اللاحقة إلا القليل"
I lost my review- no idea how while copying it from my notes it could completely vanish. No backup - nothin!! The reading is more cerebral than experiential. There is sadness in coming home... returning home after twenty years away. We follow two lover I lost my review- no idea how while copying it from my notes it could completely vanish. No backup - nothin!! We follow two lovers who each have loss spouses and are haunted by their past. Kundera is a complex- interesting author to read. Some of the writing is absolutely gorgeous. Some is a bit over-the-top pretentious. And... I like Kundera enough to want to read his other books. ( I own a few more)... so in due time! Czech expatriate Irena, who has been living in France, decides to return to her home after twenty years. During the trip she meets, by chance, Josef, a fellow émigré who was briefly her lover in Prague. The novel examines the feelings instigated by the return to a homeland, which has ceased to be a home. In doing so, it reworks the Odyssean themes of homecoming. It paints a poignant picture of love and its manifestations, a recurring theme in Kundera's novels. The novel explores and centres around the way that people have selective memories as a precursor to ignorance. The concept of ignorance is presented as a two-fold phenomenon; in which ignorance can be a willing action that people participate in, such as avoiding unpleasant conversation topics or acting out. Yet also exploring the involuntary aspects of being ignorant, such as feigning ignorance of the past or avoiding the truth. "The more vast the amount of time we've left behind us, the more irresistible is the voice calling us to return to it." In this poignant recount of two people, forced to bid goodbye to their native country, in the diminished, yet flickering hope of finding a brighter tomorrow in an alien land, almost 20 years ago from the present, unravels a story replete with more questions than answers. Irena and Josef have found comfortable refuge in their respective abodes at Paris and Copenhagen and have led a fairly decent life, battling through tags of émigrés and periods of insuperable doubts. Irena has outlived her husband, Martin, reared her two daughters dutifully and seems comfortably living her life with her partner, Gustaf , many years her senior. Josef, after leading a few years of blissful matrimony with his Danish wife, had to surrender her to death which clutched the hands of a severe disease to bring down the curtains. While it is not clear whether it was the insistence of Irena’s friend and the last request of Josef’s dying wife or the unbearable curse of her life’s banality and the inescapable ache of his loneliness that triggered the home coming, but when both took their flights to Prague, they were like two light, aimless clouds, who felt justified in being swayed adrift, since their hearts were a flutter of what they wished it to be and any likelihood of bathing in a sunnier sky was worthwhile the suspension in thin air. But upon their arrivals, they get arrested in stifled laughs, hushed accusations, hesitant embraces and above all, a terrible wave of intermittent nostalgia. Irena, on her part, falls into the very trap she had tried so valiantly to flee twenty years ago; her garrulous mother’s circle of influence. She thinks she can escape her tyranny by escaping the brick house but the roads too seem mercilessly hostile. She wears a local dress, she finds in a city shop, to look (and feel) one of them but when she looks herself in the mirror, the dress itself seemed to have disowned her, accusing her of a traitor who could not live through the pain of this country; a coward who did not have the courage to bear her individual struggle in the interest of her nation. Both Irena and Josef keep trudging into a world they felt was theirs all along but upon touching which emptied into the deepest throes of their comprehension, from where they could not retrieve it, despite determined measures. The familiar images seem breathing behind a veil of forgotten identity, rendering the entire image a nebulous element. Their families, friends and well-wishers were like distant dreams which look beautiful to think of and can be an aid of comfort for passing time but hold no consequence if chased. The story culminates with Irena and Josef bumping into each other, which suddenly looks like the only worthwhile event of their home coming, for its in this chance meeting, that they find redemption of their individualities, their choices and their fates. Kundera handles the nuances of human mind with an expert eye, which catches every skipped beat, which arrests every fleeting thought. Living in prolonged pain turns it a friend. Then the only image vitality conjures is that of an adversary. Someone needs to give Milan Kundera a chill pill. He's that dark brooding guy that sits at the back of a cafe staring moodily into his black coffee, the boyfriend you try for months to make love you but who at critical moments, suddenly declared it's all too base and animal, and you know, what is love anyway? Just a social construct. Etc etc. Sometimes Ignorance reads beautifully. I particularly enjoyed a lot of the musings on language and derivation of words, and their deviations between cultur Someone needs to give Milan Kundera a chill pill. He's that dark brooding guy that sits at the back of a cafe staring moodily into his black coffee, the boyfriend you try for months to make love you but who at critical moments, suddenly declared it's all too base and animal, and you know, what is love anyway? Just a social construct. Etc etc. Sometimes Ignorance reads beautifully. I particularly enjoyed a lot of the musings on language and derivation of words, and their deviations between cultures. في الأول استغربت تسميتها بالجهل، وبعدين في الفصل الأول تذكرت أنه عرف الحنين بأنه ألم الجهل، فأنت مهاجر لا تعرف شيئًا عن بلدك وهو لا يعلم شيئًا عنك. بتدور الرواية بشكل أساسي في التشيك اللي عانت من الشيوعية والاحتلال الروسي وغيرها من المآسي. بتدور على كذا خط، خط بيتتبع أبطال الرواية الأساسيين، وخط تاني بيتابع الإنقلابات والتطورات السياسية في التشيك وأوروبا وتأثيرها على من هاجروا ومن اختاروا البقاء. من ضمن المهاجرين، جوزيف وإرنا مهاجرين من التشيك، هرب أحدهم لفرنسا والآخر للدنمارك، غوستاف هاربًا من ا في الأول استغربت تسميتها بالجهل، وبعدين في الفصل الأول تذكرت أنه عرف الحنين بأنه ألم الجهل، فأنت مهاجر لا تعرف شيئًا عن بلدك وهو لا يعلم شيئًا عنك. بتدور الرواية بشكل أساسي في التشيك اللي عانت من الشيوعية والاحتلال الروسي وغيرها من المآسي. بتدور على كذا خط، خط بيتتبع أبطال الرواية الأساسيين، وخط تاني بيتابع الإنقلابات والتطورات السياسية في التشيك وأوروبا وتأثيرها على من هاجروا ومن اختاروا البقاء. من ضمن المهاجرين، جوزيف وإرنا مهاجرين من التشيك، هرب أحدهم لفرنسا والآخر للدنمارك، غوستاف هاربًا من السويد لفرنسا كذلك، وميلادا التي لم تترك براغ ولكنها اختارت الهجرة داخل نفسها. في حياة الشخصيات كلها بنلاقي نفور ولوم بيتلقاه المهاجر من عائلته، وده فكرني بقصص كورية كتيرة قرأتها عن هرب الناس من كوريا الشمالية إلى الجنوبية أو العكس، وإزاي أن عائلة الهارب أو المهاجر هي اللي بتتحمل اللوم والحياة الصعبة اللي بتبقى نتيجة القرار ده. تركيبة الرواية غريبة نوعًا ما، فهي شبه رواية، شبه تحليل للذاكرة البشرية من حيث ما يختار الانسان تذكره وما يختار نسيانه، بالإضافة لتحليل دوافع الهجرة المختلفة وآثار العودة للوطن التي تختلف من شخص لآخر. "Στα αρχαία ελληνικά η επιστροφή λέγεται νόστος. Άλγος σημαίνει πόνος. Νοσταλγία είναι λοιπόν ο πόνος που προκαλεί σε κάποιον η ανικανοποίητη λαχτάρα της επιστροφής." Δεν σου λέει κάτι που δεν ξέρεις. Στο λέει όμως τόσο όμορφα. فى البداية كان "الجهل"، وككل مرة كان مختلفًا ..
لهذه المصطلحات الوجودية عند كونديرا معنىً آخـر غير الذى نتداوله ..
ليس الجهل هنا هو عدم المعرفة، وإنما هو "الصدمة" ..
صدمة العائدين إلى أوطانهم، صدمة الذكريات المبتورة والصور الممزقة، صدمة السنين الضائعة والبلدان المهجورة..
صدمة "إيرينا" و "جوزيف" العائديْن إلى بلدانهم بعد "الهجر" ..
لفظتهم أوطانهم وتبرّأت منهم ذكرياتهم، ووجدوا أنفسهم على حافة النسيان..
هل تقابلهم أوطانهم بأياد فى البداية كان "الجهل"، وككل مرة كان مختلفًا ..
يجيب كونديـرا عن السـؤال ..
يجيب، وهو أفضل من يجيب عن تساؤلٍ كهذا ..
طُرِد من بلده لمناهضته للشيوعية، والتجأ بفرنسا وكتب بلغتها، وبهذا فقد عايش كل ما يصف، وربما كان يتحدث عن نفسه هنـا ..
يؤطّر كونديرا روايته بإطار من العلاقات الإنسانية وخيبات الحب وآمال الغد وآلام الماضى، ويصنع خلفية تاريخية وجغرافية من "الفسيفساء" الأدبى، الذى تتفوّق أحيانًا على الأحداث الأساسية فى الرواية..
اللقاء السابع مع كونديرا، ويستمـر الانبهـار ..
الرواية فكرتها عجبتني جدا وهى فكرة الهجرة من البلد للهروب من حكم الفاشية والطغاة .. مغتربا فى بلد أخر لا تعلم عن شعبها ولا لغتها شئ وبدون عمل وكل ئلك من أجل ان تعيش بدون قهر . أبطال الرواية هاجروا من التشيك وبعد انهيار الاتحاد السوفيتي وبعد عشرون عاماً عادوا الى بلدهم .. ولكن كل شئ اختلف .. جهل بما حدث لاصدقائهم وجهل اصدقائهم لما حدث لهم فى الغربة .. جهل بكل شئ .. لا يعلم أى منهم بمعاناة الاخر فى التشيك او فى بلد الهجرة . الفكرة من الممكن كانت تخلق رواية افضل من كدا بكتير , النهاية متوقعة وطبيعية الرجوع مرة أخري.. فهذا البلد اصبح بلد اخر وأصبح مكانهم فى بلدهم الثانى والغربة اصبحت فى بلدهم الاصلية التشيك ..
ولكن قبل النهاية الرواية معجبتنيش ومكنتش قوية زي بدايتها وبدأت احس بالملل . Mi primer libro de Kundera y debo decir que me ha agradado mucho su prosa. En ciertos pasajes me recordó a otros autores como J.M. Coetzee, Peter Ackroyd o Patrick Süskind. Con esto no estoy queriendo decir que sus narrativas son similares, sino que me provocan un agradable bienestar cuando los leo. Otra característica que me gusta de Kundera es que es checo, y por ser de los pagos de Kafka me pone contento leer múltiples referencias que hace sobre Praga, ciudad que tuve el inmenso placer de cono Mi primer libro de Kundera y debo decir que me ha agradado mucho su prosa. En ciertos pasajes me recordó a otros autores como J.M. Coetzee, Peter Ackroyd o Patrick Süskind. Con esto no estoy queriendo decir que sus narrativas son similares, sino que me provocan un agradable bienestar cuando los leo. 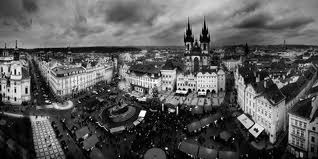 Otra característica que me gusta de Kundera es que es checo, y por ser de los pagos de Kafka me pone contento leer múltiples referencias que hace sobre Praga, ciudad que tuve el inmenso placer de conocer. Cuando Irena, Gustav o Josef, tres de los personajes principales de la novela caminan las calles de Praga, pude reconocer algunos de esos sectores y me sentí muy a gusto. Era como seguir huellas en forma recíproca. Es muy amena la manera en la que Kundera crea los lazo afectivos entre Irena y los demás personajes y para ello se vale también de ciertos contextos históricos sucedidos en la vieja Checoslovaquia a partir de veintenios, ya que se da la invasión nazi de 1938, la ocupación rusa que tendría su liberación en 1968, y luego la caída del comunismo que mantenía atado al país a partir de 1989, algo que el autor se encarga de explicar en el capítulo 3, así también como la conexión de lo que sucede en la novela con la Odisea de Homero y del retorno de Ulises a Ítaca, ya que en esta historia, se nos narra el regreso del personaje principal, Irena, luego de veinte años de exilio en París y de todo lo que ese andamiaje emocional genera en ella. Remarco esto puesto que el título del libro me desconcertaba, pero que rápidamente Kundera se encarga de aclararlo, en un capítulo clave donde comienza a conectar términos como "ignorancia", "regreso", y especialmente "nostalgia" (del griego "Nostos", regreso y "Algos", sufrimiento). Creo que en la palabra "Nostalgia" está encerrado el verdadero sentido de la novela y se relaciona directamente con los sentimientos de Irena, ya que es a partir de las relaciones de constante vaivén que vive con Gustav o Josef, en donde se pone a prueba su temple y es lo que vamos experimentando durante la lectura eso que llamamos las complicadas "relaciones humanas". Seguramente seguiré leyendo a Kundera. Tengo agendados "La insoportable levedad del ser" y "La inmortalidad" para este 2019. Con "La ignorancia" he quedado muy satisfecho. I really don't think Milan Kundera is an author for me. His characters are all so petty and cruel, so atomized and self-centered. I can deal with pettiness and cruelty being a theme of the book - but everyone? All the time? Ignorance is a fictionalized essay on nostalgia, on the desire to return (to places, people, and situations long past). Published in 2000, about 20 years after Kundera himself emigrated to France from his native Czech Republic, the novel tells the story of two characters who had the same experience. The time is the early 1990s, right after the demise of the Communist regimes in Eastern Europe, and Josef and Irena (two Czech expatriates living in Denmark and France, respectively) feel the need to Ignorance is a fictionalized essay on nostalgia, on the desire to return (to places, people, and situations long past). Published in 2000, about 20 years after Kundera himself emigrated to France from his native Czech Republic, the novel tells the story of two characters who had the same experience. The time is the early 1990s, right after the demise of the Communist regimes in Eastern Europe, and Josef and Irena (two Czech expatriates living in Denmark and France, respectively) feel the need to return to Prague and reconnect with their past. As all his books, Ignorance is a reflection on the impossibility of return (to our loved ones, to our country, to ourselves). In a beautiful passage, the author writes about the etymology of the word nostalgia, saying that its meaning derives from the Latin "ignorare," which means to ignore. Linking the two concepts together (nostalgia and ignorance), the whole novel is articulated as a series of explorations on a particular case of ignorance: old friends no longer like the person we have become, old lovers do not remember us, family acts as if we had died already...). Ignorance may not be for every reader, I connected deeply with the book because I am also (like Josef and Irena) an expatriate, and I could very much relate to their longing to know that they could one day return if so they chose. But there's no way back, and Ignorance is a melancholic novel, and it's so true and so real that it hurts. And it's also a beautiful book, hauntingly sad and beautiful. Ignorance is Kundera's tribute to the émigré. The story revolves around a woman called Irena, a Czech expatriate living in France, and her return to her homeland. On returning she meets Josef, a fellow émigré whom she knew from the past as a lover. The novel examines the feelings of returning to an unfamiliar homeland after a long time, drawing parallels with Homer's Odyssey to prove its point. The novel explores love and its many forms of manifestations and the use of differing perspectives to prove a comical portrayal of selective memory leading to ignorance. The novel explains willful ignorance as a form of avoidance of unpleasant realities and also illustrates a picture of involuntary ignorance as denial of the past or feigning ignorance of the truth. One of my favorite passages from the book include the story of Jónas Hallgrímsson and the fate of his remains. ".....nobody much cares where a dead person's bones wind up." لا أعلم سبب اختيار الكاتب هذا الإسم ..
ربما لجهلى أنا بأمر خفى لم أستطع استنباطه . أولى تجآربى مع كونديرا ..
روآية أخرى تحدثنا عن مشكلة فقدان الهوية والهجرة من الوطن مع اختلاف الدوافع ..
التشتت بين هذا و ذاك . يلقى كونديرا الضوء على كل شخصية من شخوص الرواية ليبرع فى إظهآر الصراع الداخلى لكل منهم . تتخلل بعض الأحداث السياسية فى التشيك و انتشآر الشيوعية . ويتخللها أيضا الحديث عن الفن و الموسيقيين كأرنولد شونبرغ . بعض الأساطير ك عوليس أكبر مغامر على مر التاريخ و ه "الجهل"
بعض الأساطير ك عوليس أكبر مغامر على مر التاريخ و هو أيضا أكبر مشتاق . أنشدة الأوديسة عن الآلهة و الحنين ..
لا تغفل الرواية جآنب الحب ..
فهذا رجل و امرأه يلتقيان مصادفة عند عودتهما إلى مسقط رأسهما . برخورد آدمای مختلف داستان با انواع دلتنگی و دوری و غربت! الجهل هو الحنين والحنين هو جهلك بما يحدث الآن في المكان الذي تحن إليه. أنتَ فقط من تتذكر كل شيء بهذهِ التفاصيل الحادة والثقيلة. الجهل أو الحنين، الجهل بالمسقبل والماضي والحاضر، أو الحنين للمستقبل والماضي والحاضر. الجهل والحنين، مفردتين مكملتين لبعضهما في هذه الرواية. يتناول كونديرا بعض مشاكل العصر الحديث، وبعض المشاكل الإنسانية، هي ذات المشاكل الأثيرة لدى كونديرا، مشكلة الحب والجنس، الإخلاص، الخيانة، الهوية.. هذه المشاكل الذي يعيد كونديرا قلبها وصياغتها بما يتناسب مع طبيعة الإنسان الحقيقية بعيدًا عن النفاق الناتج عن إدعاء الفضيلة الملازم للبشر في هذا العصر. كما يخوض في موضوعه المفضل الآخر وهو الحال في ظل سيادة الشيوعية وما الجهل أو الحنين، الجهل بالمسقبل والماضي والحاضر، أو الحنين للمستقبل والماضي والحاضر. كما يخوض في موضوعه المفضل الآخر وهو الحال في ظل سيادة الشيوعية وما حدث بعد سقوطها في براغ. وموضوع انحدار الموسيقى الناتج عن انحدار الفن وثقافة العصر بسبب تطور التكنولوجيا، وقد صور هذه النقطة في حديثه عن شوينبرغ. كونديرا وفلسفته التي اعشقها، التساؤلات التي نكتمها بداخلنا وتنفجر على هيئة تصرفات غريبة. حين تعود الى الوطن وتجد كل مافيه يرفضك، لانك رغبتك بحياة افضل بعيدا، انانية،لايستطيع الذين قرروا الاستمرار في الوطن فهمها، يعتقدون انه معاناتهم لاجل الوطنية تجعلهم افضل منك. ماهي الوطنية، وماهو الوطن، غير ذكرى تحملها في داخلك، عن تصور ربما ليس موجودا، الوطن هو الذي يمنحك الحياة، وليس ذاك الذي يسلبها منك. والسخرية هي المحتل القريب منك، كونديرا وفلسفته التي اعشقها، التساؤلات التي نكتمها بداخلنا وتنفجر على هيئة تصرفات غريبة. والسخرية هي المحتل القريب منك، الذي يحتل اشيائك ما ان ترحل، المحتل الذي يعاني من محتل اكبر منه. I like Kundra because he doesn’t imprison me in a fastened frame of a classic narration. Reading Kundra seems as if you meet an old friend in a cafe shop after ages, and while she/he relates her / his life story, you zip your coffee, listen to the cafe music, hear some chats and laughs at nabouring tables, look at the peddlers at side walk, or a passing tramvay, … as life is flowing around, …. يرقد الكتاب على مكتبي منذ انتهيت منه منذ ثلاثة أسابيع تقريبا ً، لم أجد وقتا ً لأكتب عنه، فلذا عندما أعود إليه الآن، أشعر كمن يعود إلى وجبة بائتة. الرواية تعالج فكرة الحنين إلى الوطن، وإمكانية العودة إليه لدى المنفيين، وخاصة بعدما تزول أسباب النفي، أظن أن الفكرة طرحت نفسها بقوة على كونديرا المنفي في فرنسا، بعد سقوط الاتحاد السوفييتي، واستقلال بلده التشيك. يستخدم كونديرا أسلوبه المميز الذي يمزج فيه ما بين الرواية والتقرير، حيث يحكي قصة تشيكيان رجل وامرأة، يعودان إلى الوطن بعد سنوات المنفى الطويلة، فيلتقيان صدفة ليستيقظ بينهما حب قديم. Milan Kundera has one of the most unique and immediately recognizable writing styles I’ve ever encountered. Ignorance is the third of his novels I’ve read, and there was never any doubt in my mind while reading it that, yep, it’s him all right. I find this experience of familiarity with an author quite pleasant. The other two novels of his that I’ve read (The Unbearable Lightness of Being, The Book of Laughter and Forgetting) are “better,” I suppose it ought to be said, but Ignorance is another Milan Kundera has one of the most unique and immediately recognizable writing styles I’ve ever encountered. Ignorance is the third of his novels I’ve read, and there was never any doubt in my mind while reading it that, yep, it’s him all right. I find this experience of familiarity with an author quite pleasant. The other two novels of his that I’ve read (The Unbearable Lightness of Being, The Book of Laughter and Forgetting) are “better,” I suppose it ought to be said, but Ignorance is another excellent if brief meditation on Kundera’s classic themes—love, relationships, memory, history, politics, etc. Kundera reminds me of Yeats in the way he mixes the personal and the public/political. It’s amazing that he is able to educate the reader enough on 20th Century Czech history during the novel(s) to join him as he points out the truly fascinating things going on throughout it. The connections Kundera consistently makes between large-scale political actions affecting an entire nation of people and subtle, private moments between two lovers are nothing short of brilliant. Ignorance is about coming back, or the impossibility of coming back, or no… how coming back is complicated. It’s about how some things change, and other things stay the same, and neither is what you would have predicted. Two Czech emigrants return to Prague after the fall of Communism, and their complex relationships with their home and with each other are not simplified but further entangled. After years of questions about themselves, their friends, and their country, their Grand Returns defy expectations and leave them with more, and more challenging, questions. يعجبني هذا الميلان كونديرا ولكم تمنيت أن يكون فلسطينياً الآن ليعيد تعريف معنى "النوستالجيا" أي الحنين الى مسقط الرأس. عندما أقرأ رواية، تختلط كثيراً ذكرياتي وتجاربي الشخصية مع أحداث الرواية لأنتهي منها بحكاية أكاد أجزم أنها ليست التي كتبها الكاتب لكنها كافية لأعطيها التقييم العالي ليعبر عن مدى اندماجي مع النص لأتخيله يعيد كتابة حياتي من خلالها. ان حكاية عوليس العائد الى ايثاكا في أوديسة هوميروس كما يرويها كونديرا تكاد تنطبق على كل متغرب أو مخلوع عن وطنه برضاه أو رغماً عنه، لا أعلم حقاً ان كان هذ يعجبني هذا الميلان كونديرا ولكم تمنيت أن يكون فلسطينياً الآن ليعيد تعريف معنى "النوستالجيا" أي الحنين الى مسقط الرأس. عندما أقرأ رواية، تختلط كثيراً ذكرياتي وتجاربي الشخصية مع أحداث الرواية لأنتهي منها بحكاية أكاد أجزم أنها ليست التي كتبها الكاتب لكنها كافية لأعطيها التقييم العالي ليعبر عن مدى اندماجي مع النص لأتخيله يعيد كتابة حياتي من خلالها. ان حكاية عوليس العائد الى ايثاكا في أوديسة هوميروس كما يرويها كونديرا تكاد تنطبق على كل متغرب أو مخلوع عن وطنه برضاه أو رغماً عنه، لا أعلم حقاً ان كان هذا شعور كل شخص لكن على الأقل هذا ما عايشته وهذا ما أسقطته على أحداث الرواية. هنا يحدثنا عن رجل وامرأة التقيا في مكان ما في زمن ما في التشيك ابان انتشار الشيوعية وخروجهما منها وعودتهما اليها في زيارة عابرة بعد سقوط الشيوعية. فكرة الغياب عن الوطن ثم العودة اليه تختلط هنا بين محاولة نسيان الماضي او ما يشير اليه هنا كونديرا الذاكرة الانتقائية التي تحتجز من الماضي الشيء اليسير ولا تعرف لماذا هذا الجزء دون غيره وبين الحاضر الذي هو موطنك الجديد حياتك الآن هاهنا. يذكرني هذا الحديث ب حسين البرغوثي وحكاية شرقي نهر الأردن وغربيه، تلك الغربة التي شعرها نهر الأردن الذي لا يعرف اين ينتمي ألشرقي النهر أم لغربيه؟ هذا الغريب/المنفي/المهاجر/المبعد عن وطنه الى أيهما ينتمي، موطنه الأصلي مسقط رأسه أم بلاد الهجرة حيث كون نفسه وحياته؟ وما يزيد الوضع سوءاً تلك الوحدة بل قل الغربة التي تشعرها تجاه أهلك وأقرباءك الذين يتحدثون لغة أخرى ويعيشون تاريخ آخر وحياة أخرى لم تكن يوماً جزءاً منها وعند العودة يطالبونك بأن تعود الى تلك النقطة... نقطة ما قبل الغربة ثم فجأة تلتحم بهم من جديد! يطالبونك بأن تلغي كل تاريخك وحياتك منذ فراقهم لتعيش تاريخهم هم... يعودون بك الى ذاكرة الماضي، أشخاص لا تكاد تذكرهم، ذكريات لم تعد تعنيك بشيء لأن عقلك قرر أنها لم تعد صالحة لحياتك الآن، وهم يريدون أن تعود اليهم بذاكرتهم هم... بحياتهم هم... وجل ما يقومون به هو الحديث عن أنفسهم... لا يسألون عن حياتك في الغربة كيف كانت... ولا من أنت الآن... أنت بنظرهم ذلك الكائن الذي توقف به الزمن في لحظة ما... في مكان ما... ولا يريدون معرفة أي شيء آخر سوى ذلك الكائن. "بإهمالهن لما عاشته في الغربة تماماً، بدأن ببتر عشرين سنة من حياتها. الآن وبهذا الاستجواب يحاولن أن يحبكن ماضيها القديم مع حياتها الحالية. كما لو أنهن بترن ذراعها ووضعن اليد مباشرة في المرفق، كما لو أنهن بترن ربلتي ساقيها وربطن ركبتيها الى قدميها". هذا الشعور عندما ينسجون بمخيلتهم شخصية متخيلة عنك، عن حياتك، ويصدقونها ويصدقون أنهم يعرفونك أكثر منك دون حاجة الى أن يعرفوك الى أن تتحدث… الى أن تكون أنت أنت!! لطالما استطاع والدي أن يجاريهم وأن يحسم أمره تجاه الأسئلة تلك أما بالنسبة الي يبدو أنني ما زلت أشبهه... نهر الأردن أعني. وبناء على تجربته الشخصية فقد كان حديثه صادقًا جدًا فيما يتعلق بالهجرة والغربة والحنين، ومن ثم ألم العودة، وقسوة الذكريات المنسية..
لدى ميلان قدرة عجيبة على كشف خبايا النفس البشرية، والتعبير عنها بمهارة لا مثيل لها، تجعلني لا أستغني عن قراءة أعماله، حتى وإن كان أسلوبه مشوِّشا. وصفه المجنون للحالتين الشعوريتين المختلفتين والمتشابهتين معًا لبطلي الرواية، تجعلك تقف مشدوها أمام قدرته على نبش المشاعر المتجذرة في اللاوعي والتي قد لا ندركها على الرغم من شعورنا بها.